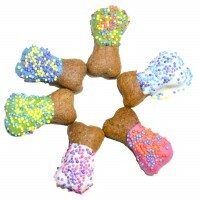 Delicious gourmet hand decorated Peanut Butter Bones in beautiful pastel colors - the perfect gif..
Italian bakery or Puchi's Barkin' Bakery? 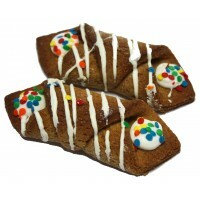 Doggie Cannoli's are a woof-a-licious treat..
XL Happy Birthday Bones with Bright Confetti! 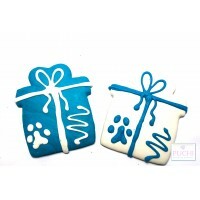 Give your pooch a whopping great treat for their bi.. Brand New!!! 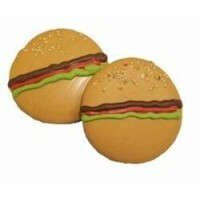 Hamburger Cookies. We've even added actual sesame seeds for the bun! Homemad.. 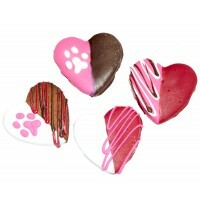 Pack of 2 Your dog will fall literally in love with these delicious heart treats!! 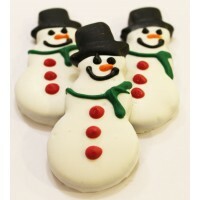 ..
Tell your best friend you love him/her today with an I Love U cookie. Each cookie is hand decorat.. 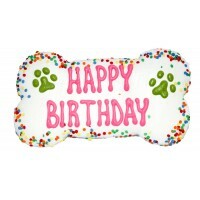 Here is the perfect gift for Birthday/Valentine's Day gift for your pup. 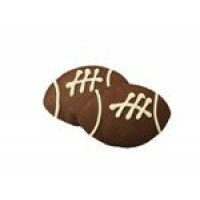 These adorable large..
Are you ready for some rugby! 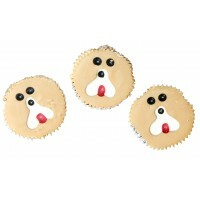 The perfect treat for your pup during the rugby season. Homema.. 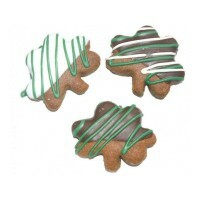 Pack of 2 Give a little luck of the Irish to your pup for St. Patty's Day.Your pup will a..
Our Jumpin' Ginger Snap snowmen are one of our BIGGEST sellers, plus they are the perfect tre..
Eric the office dog loves these scrumptious Donuts - they're so good even the staff are tempt.. 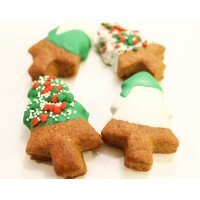 Delicious Holiday Angels are a yummy treat for your pup this time of the year. &nbs.. Brand New! 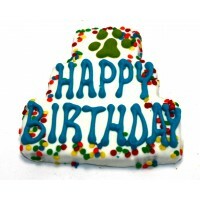 Happy Birthday Cake Cookie with Bright Confetti! Individually boxed and gift..
Our mouth watering peanut butter Christmas Tree Cookies are the perfect gift to put under the rea.. 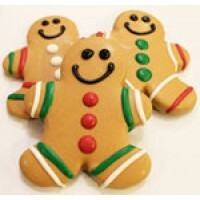 Your dog will be begging' for more of our delicious & yummy Gingerbread Men. &nb..
Special pressies for good boys and girls. 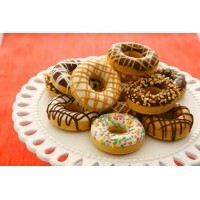 1 x Pressie Ingredients: Wheat flour, ve.. 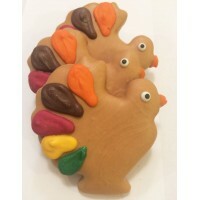 Your dog will gobble up these delicious turkey cookies coated in peanut butter, which will make t.. 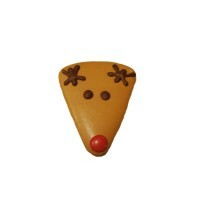 Brand New - Our adorable Red Nosed Reindeer Cookies! Your Puchi's will just love them. .. 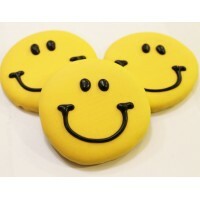 Your pup will love these delicious smiley face cookies. 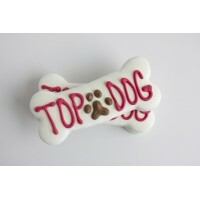 Presented gift w..
Our gourmet Jumpin' Ginger Snap Top Dog Bone is a delicious treat for your best friend. &..